Should I microchip my exotic pet? A pet microchip is a radio-frequency identification transponder made up of a few components encased within a slender sterile capsule, about the size of a grain of rice, which is used for implants in animals. They are placed either under the skin, or in the muscle. Each chip stores a unique ID number that is used to retrieve a pet owner’s contact information. When a microchip scanner is passed over the skin of a microchipped pet, the implanted microchip emits a radio frequency signal and the scanner reads the microchip’s unique ID code. The microchip registry is called, and the registry company uses the ID number to retrieve the owner’s contact information from the pet recovery database. Is a microchip safe in exotic pets? Yes. Microchips are designed to be biocompatible to permanently remain in the body of the pet and not cause reactions. Studies have overwhelmingly shown that when placed properly, microchips do not cause infections or illness of any kind. While most of these studies have been done on larger animals than the exotic pets we treat, we have not had any negative responses to those we have placed. Many people worry about the pain involved with using a relatively large needle to implant the chip in exotic pets. That is one of the reasons we offer the smallest microchip on the market: the Atom chip. 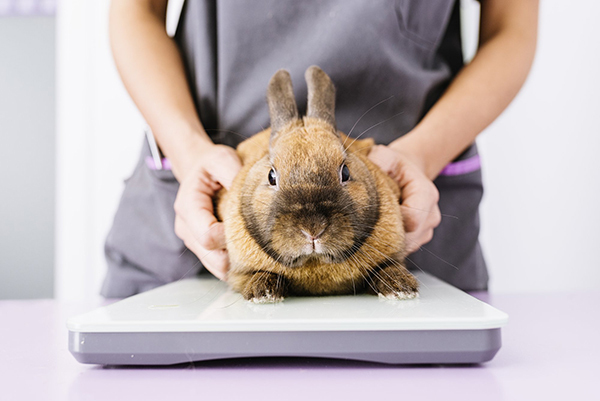 Most animals (ferrets, rabbits, large birds and reptiles) do not need to be sedated for this procedure, as it is similar to getting a vaccine injection. However in instances where the pet is prone to movement or is small, we will use a combination of local and general anesthesia to make the process easier. My pet lives inside, do I need a microchip? If your exotic pet could potentially escape or be stolen, we strongly recommend that you consider letting us put in a microchip. Another reason to microchip your exotic pet is if you will be traveling internationally. Most countries will require that your pet has a microchip prior to allowing them entrance into the country. My parrot has a leg band, why do I need a microchip? The leg band your parrot has is a way of certifying that the bird was legally bred in captivity. The numbers and letters on the band correspond to the breeder codes and sometimes the hatch date or clutch codes. However, there is no registration or way to locate the owner of a bird through identification of the leg band. If your bird is lost, the leg band will not help reunite you with your bird. The only way to connect a lost exotic pet with their owner is through a registered microchip. If you would like to have a microchip placed in your exotic pet, please schedule an appointment today!